Must avoid the cryo-skulls reaching the inner sanctum. Really nice spin on Flappy Bird, and great art as well! Well, because of my own stupidity, I got a score of 0 the first few times, until I reread the instructions. 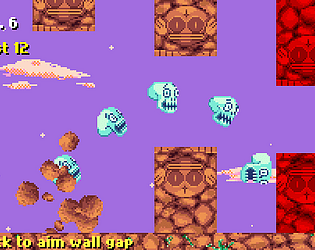 Well, once I learned that I was NOT supposed to let the skulls through, it was a pretty fun twist.